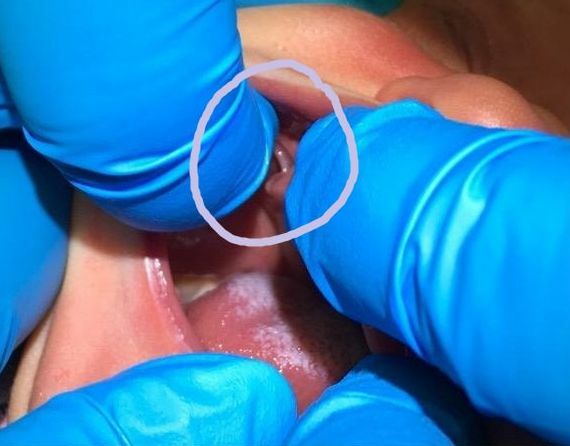 Buccal ties are abnormal mucosal tethers extending from the cheeks to the gingiva and occasionally interfere with breastfeeding. 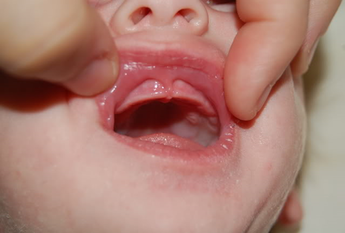 In some situations, buccal ties can further restrict a baby’s ability to achieve an adequate latch for breastfeeding. As with upper lip ties, buccal ties may also harbor bacteria leading to risk of gingivitis and cavities. These ties may eventually contribute to gum recession. Fortunately, buccal ties are easily released the same way as tongue tie and lip ties. Just as with upper lip ties, stretching exercises are recommended to prevent reattachment.